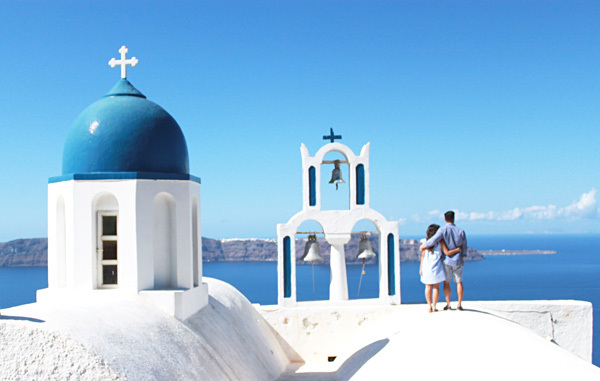 We had high expectations for Santorini because of all the wonderful things we've heard. From the breathing taking views and romantic atmosphere, everything exceeded our expectations. We arrived from Athens by plane, roughly a 45 minute flight. A cheaper alternative is by boat, which allows you to enjoy the scenery, however it's an 8 hour trip! There are also high speed ferries that can reduce the trip to 5 hours. One of the most challenging parts of planning was deciding where to stay. 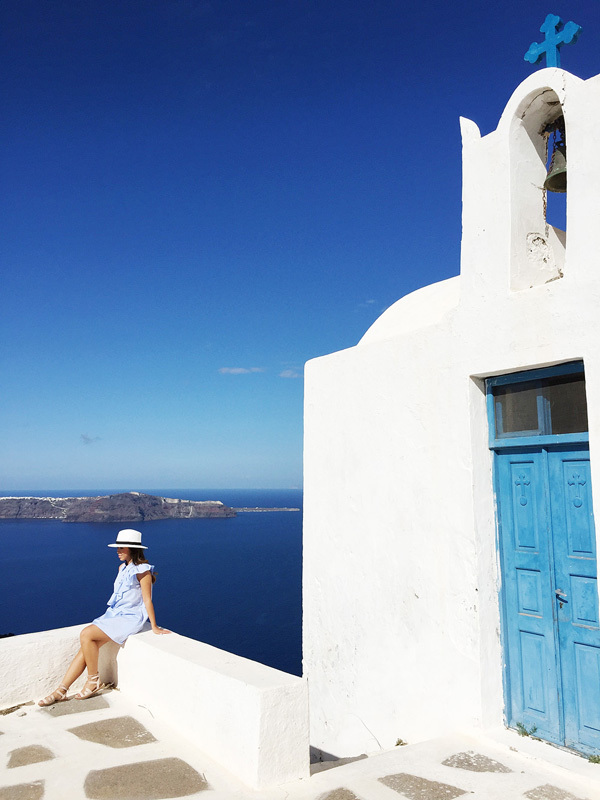 After extensive research we decided on Imerovigli, a small town between Fira and Oia. 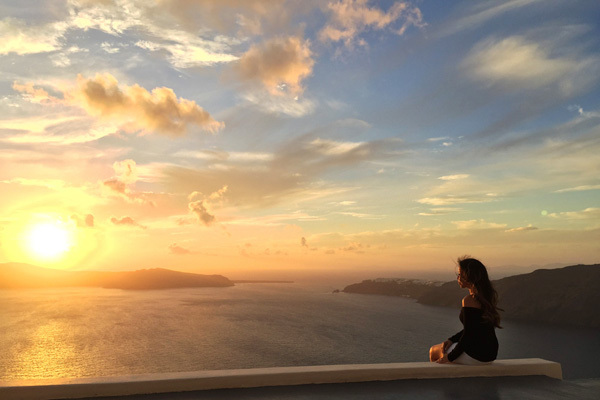 Imerovigli is known for the highest viewing points of the caldera and the best sunsets in Santorini. 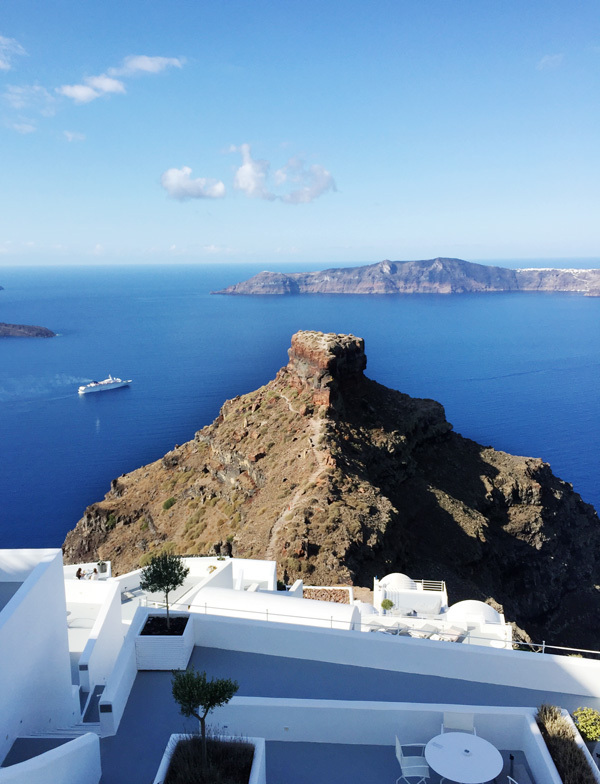 Another deciding factor for us was that unlike Fira and Oia, Imerovilgi does not have docking ports for cruise ships rendering it less accessible and not as crowded as its neighboring towns. 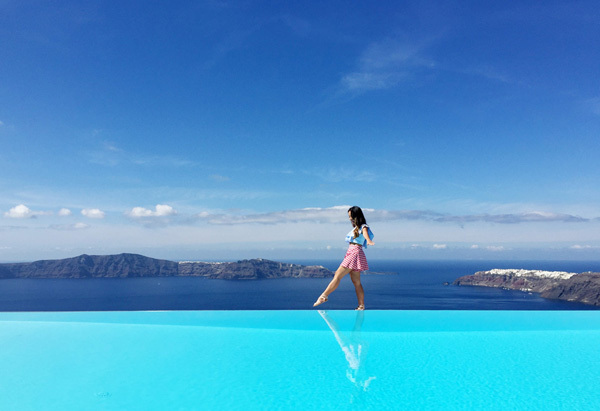 In our research we came across SantoriniDave.com and this video of Imerovigli, it was really helpful when it came to booking our hotel. As privacy and noise was our main concern, we opted for a place about a 10 minute walk outside of town at Anastasis Apartments. We didn't really mind the walk, especially after big dinners. Through our travels we've stayed at a few 5 star hotels, but by far the service at Anastasis Apartments was the best. We were greeted with drinks, fresh fruits, and desserts upon arrival. The staff was extremely friendly and helpful in making sure we had everything we needed including assisting us in making any restaurant reservations and providing recommendations. We were treated with snacks and wine every evening after returning home from dinner. We took a chance on going so late in the season, I had my heart set on warm weather and didn't really want to pack warm clothes. Luckily for us, we were blessed with great weather. With temperatures in the mid 70s during the day it was warm enough to sunbath and explore but a tad too chilly to swim. A light jacket was required for dinner as it got pretty breezy with temps in the mid 60s. Some restaurants offered blankets if you forget to bring warm clothes. Unlike our other vacations, we did not have an agenda. On our first day, Darren and I aimlessly wandered into town and stumbled upon the trail to Skaros Rock. We were completely unprepared, I hiked in sandals, (doable but not recommended) and Darren in his Sperrys. We also didn't bring any water (also doable but not recommended). The trail starts by the Grace hotel and is a very easy hike but getting to the very top requires a vertical climb (and probably proper hiking shoes). To be honest, it was one of the most terrifying things I've ever done but completely worth it. We were rewarded with the most magnificent 360 degree view of the whole caldera. You look so, so beautiful Khatu! I can see the happiness practically beaming from your pores. Love that you're still making such amazing pieces. 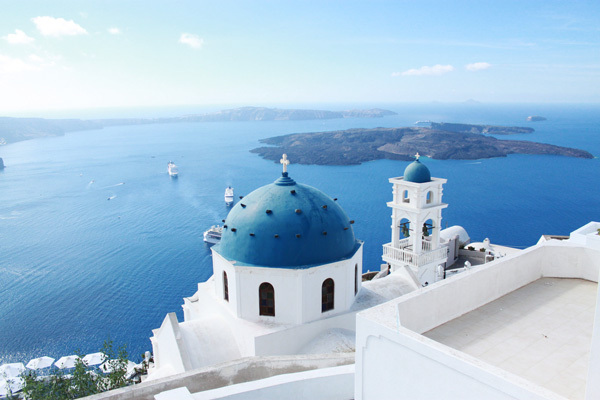 I realize this blog post is way old but I'm doing research for our upcoming trip to Santorini in August and trying to scout out photography locations. I was wondering if you remember the spot where you guys took the pictures above on the top of the church and in front of the bell tower. They are just gorgeous! Was this all the same location or separate churches? Any tips you have on where this might have been would be appreciated!! Whoa!! Once I watched that location in a romantic movie seen.I never knew this place's name is Imerovigli..Anyway I don't have any words to describe its beauty..thank you very much for sharing.keep posting. Amazing view! What month was it when you visited? Learning forex is very tough as first thing comes in mind from where to start. To get all knowledge of Forex Trading Education visit Gomarket website.